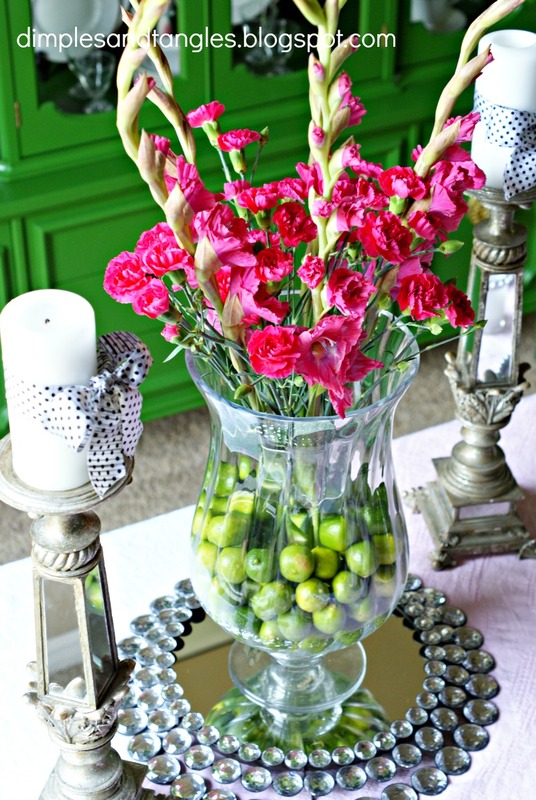 I'm SO excited to be over at Brittany Makes today participating in her Summer VIP Guest Blogger Series! If you're visiting from Brittany's site, Welcome! I'm so glad you're here. Brittany got married a week and a half ago and invited me and some other friends to guest post while she is away on her 2 week (lucky duck!) honeymoon in Europe. 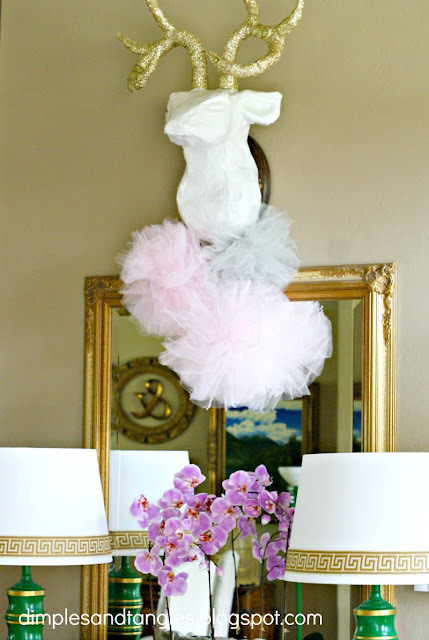 I'm crazy about all of Brittany's projects, and featured her DIY poufs as one of my Friday Favorites a few weeks ago. 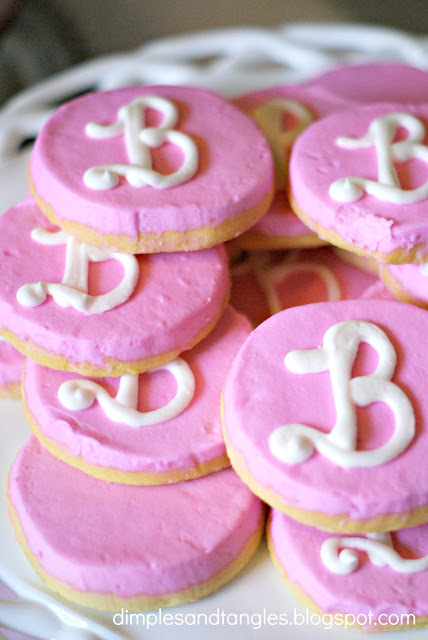 I hope you'll join me at Brittany Makes today and spend some time looking around. I know you'll find lots of ideas you'll love! In other news, I wanted to share a few images from the Baby Shower I hosted over the weekend. We were celebrating the upcoming birth of a sweet little baby girl, and her Mama couldn't be prettier! There were several hostesses to help with the party, so they did most of the work, and one of them made the darling decorations. 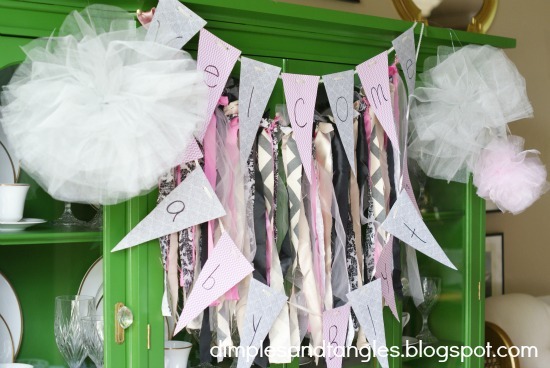 She made a cute pennant banner and ribbon/fabric strip banner that I hung together on the china cabinet as a backdrop for the treat table. I love the poms that she made out of tulle. I've made them with tissue paper before, but the tulle ones were so soft and airy, they were perfect for the shower. They didn't really work hanging from the chandelier where I originally wanted them, so I split them up and Deer got a statement necklace to wear for the party. It was a Sunday afternoon shower, so we kept the treats light. Cupcakes, scrumptious sugar cookies, fruit, cheese and crackers, nuts and punch rounded out the selections. I didn't take a photo of it specifically, but if you need a good punch recipe, this one is fantastic and one of my stand-by favorites. It's super easy...ready? 1 can of frozen Welch's White Grape Raspberry juice, 1 bottle of ginger ale, lots of crushed ice, and if you want it to look fancy throw in some frozen raspberries to float around in the bowl. It's always a hit! You could also substitute any of the other flavors of juice, they're yummy too. Another great idea that these girls use at their showers...one of the hostesses brings a children's book and uses it as the guest book. The guests can write a little message and sign their name in the book, and Mom and Baby will always have sweet memories of the shower when they read that selection together. Sorry, I didn't get a picture of that idea either, but you get the point, right? We are so excited about the arrival of Baby Blythe and are thankful for her sweet parents and the way they minister in our church. We are praying for your family little Blythe and can't wait to meet you! Wow look at your amazing ferns!!! They got huge and I love them! I wonder how'd they'd do in New England. I'll have to find out - they are perfect for the front door. Your house looks so pretty for the shower, as does the new mama to be. Heading over to read your guest post now! great guest post over there! and gorgeous shower! i love the cookies! :) yummy. and pretty. 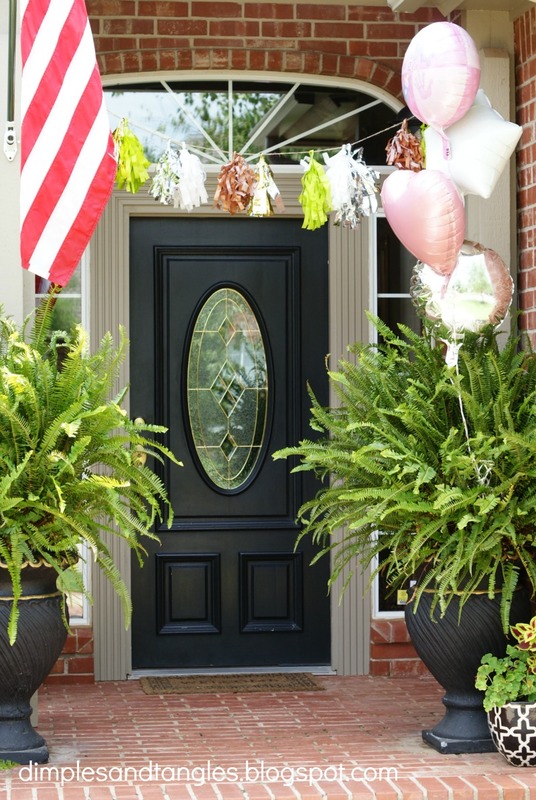 What fun, I'm sure the guest of honor was thrilled with all your pretty details! Heading over to check out your post! 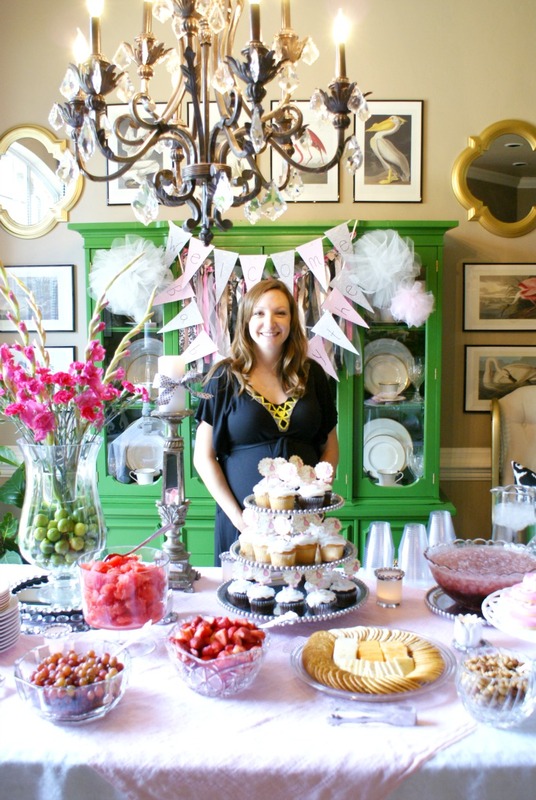 How great is this baby shower? Love it! And we totally have the same pet peeve...electrical cords! Hi Jennifer! I just wanted to say, I love your blog and your style! 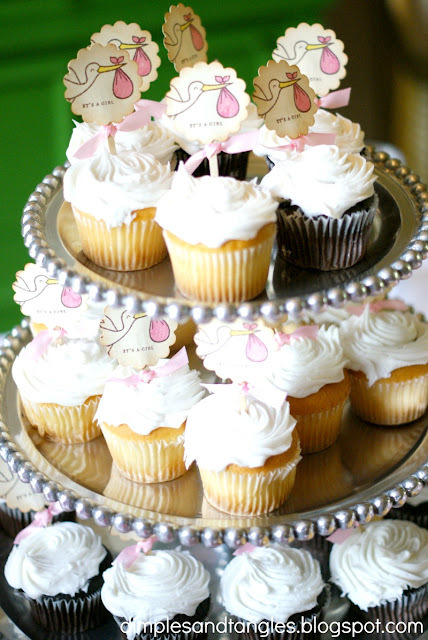 What a great baby shower with such special details. I'm a minister's wife as well and usually planning some sort of event or another at all times...next week a nautical themed ice cream social to wrap our annual Drama Camp. I am really glad and bit relaxed too after the products I got by this team! And the qualities of the strollers are awesome! Overall really appreciated the work of EasyBabyTote.com!